An industrial tractor was handed over to Barangay Catmon, Tanauan, Leyte last July 25, 2015. 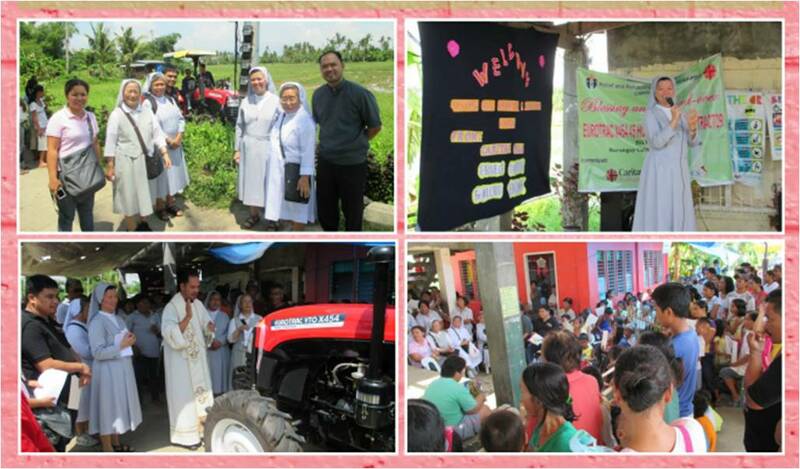 Sr. Maria Josefina “Jojo” Carrasco, FMA led the handover of the farming equipment which will benefit 169 families. Fr. Alcris Badana, Director of Caritas Palo, presided over the machine's blessing. VIDES Philippines, together with the residents of Brgy. Catmon, extends its gratitude to VIDES Italy for the joint project with the Daughters of Mary Help of Christians (FMA) and Caritas Italiana.